The MEI Choral Department is preparing for our annual Spring Choral Concert. This spectacular concert will feature all the choirs at MEI including: the Chamber Singers, Concert Choir, Renaissance Singers and Junior Chorale. The choirs will all come together to create one huge finale choir that you won't want to miss. We look forward to seeing you on Tuesday, May 31st in the MEI Secondary Auditorium. Admission is free! The MEI Concert Choir is preparing for one of their annual tours, this time to beautiful Winnipeg, Manitoba. 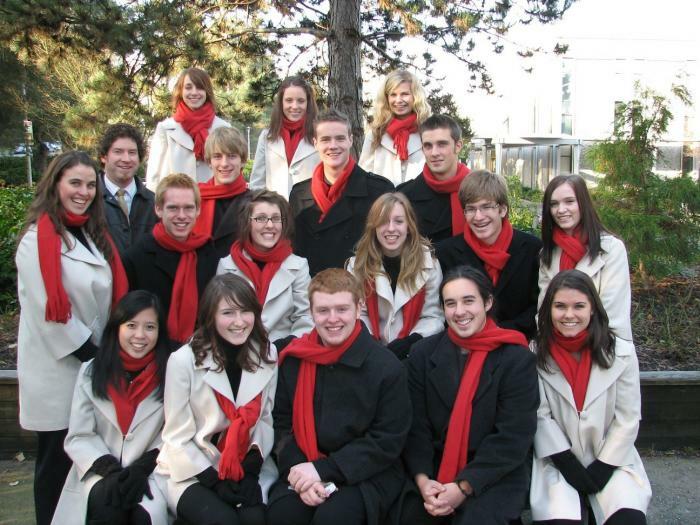 The choir is participating in the CAMS Music Festival on April 7-10, 2011. "CAMS" is the Canadian Association of Mennonite Schools. The choir, along with other Mennonite high schools from across Canada, will participate in performances and rehearsals, featuring a finale concert on Sunday afternoon with performances by the mass choir of all the schools directed by guest conductor, Dr. Elroy Friesen from the University of Manitoba. 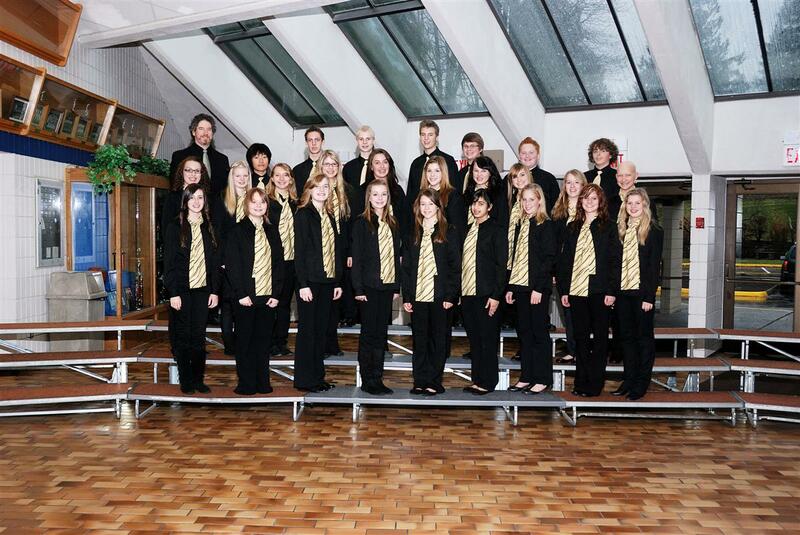 The MEI Renaissance Singers also have a weekend festival trip planned to Festival Nelson. The choir is preparing festival repertoire and choreography for this fantastic event on April 28 to May 1. 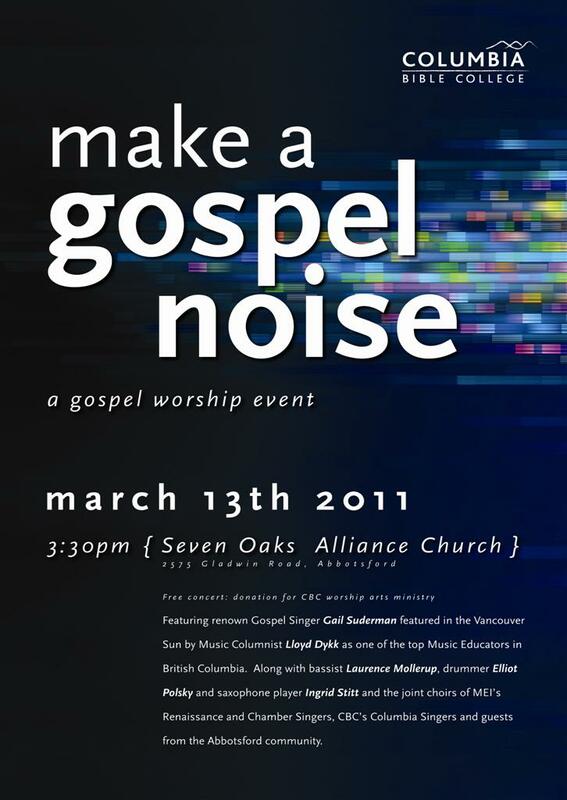 The Renaissance Singers will also be performing at the Abbotsford Community Services Volunteer Luncheon on April 12. Congratulations to MEI's jazz choir, also known as, the MEI Chamber Singers, who participated in the Lionel Hampton International Jazz Festival in Moscow, Idaho at the end of February. The choir competed in two categories: the open multi-mic category and the area mic category and was invited to perform on the Kibbie Dome mainstage in the Young Artists Concert, selected as the "Outstanding A Division Choir". 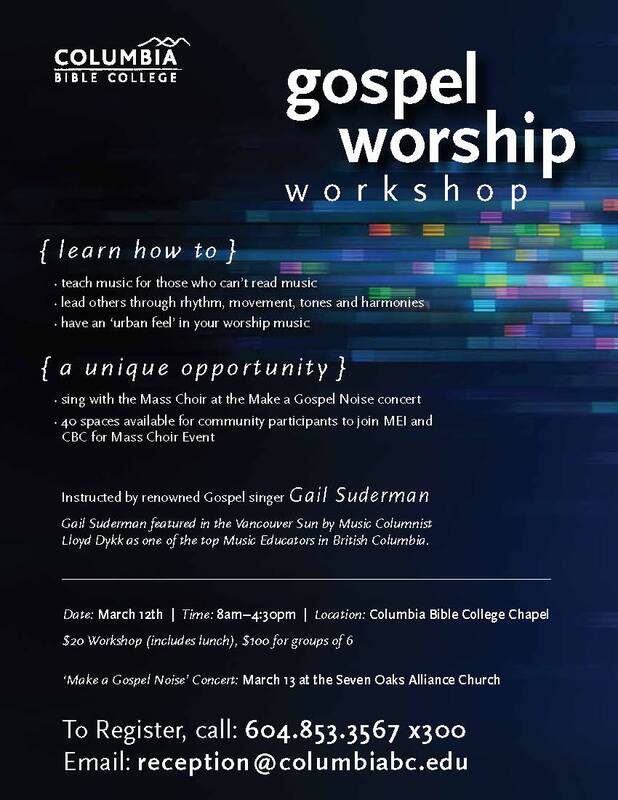 others that would like to take part, to learn some of the 'urban feel' and rhythm in gospel music. 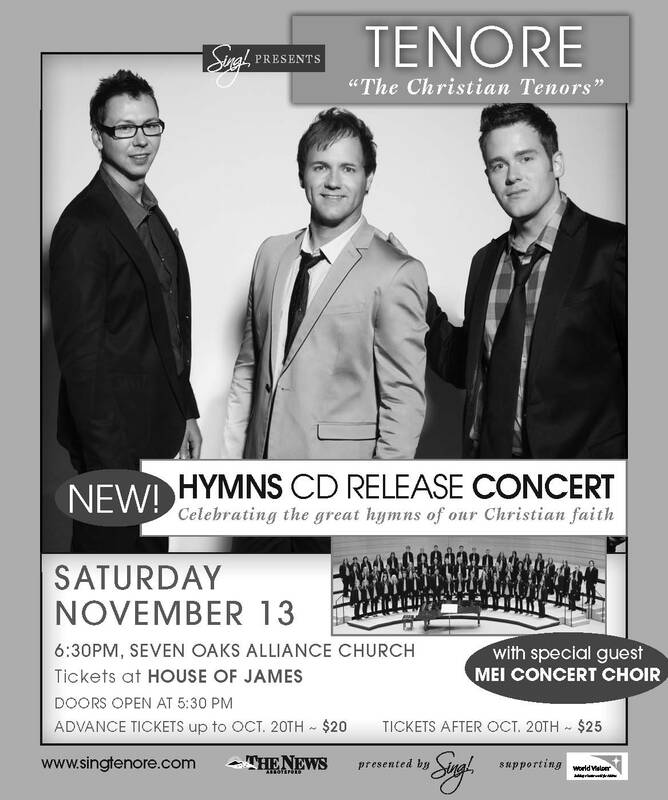 Please join us for the full day experience or just the concert! - "Curtain Call Dinner Theater"
The MEI music department is touring in Spring 2010 to Anaheim, California. The Concert Choir, Chamber Singers and Concert Band be performing at the Heritage "Festival of Gold" Music Festival and the Chamber Singers (Vocal Jazz) and Razzberry Jam will be performing at the Anaheim Heritage Music Festival. See main page for itinerary details. 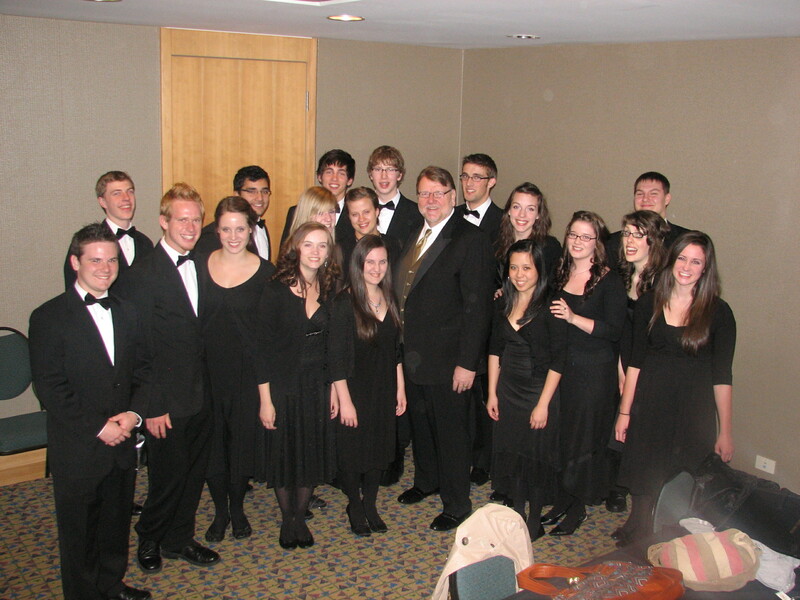 The MEI Chamber Singers performed along with internationally renowned opera tenor, Ben Heppner, in a gala concert held April 25, 2009 at the Sheraton Wall Centre in Vancouver. The evening, "Honouring our Mennonite Heritage" was directed by Larry Nickel and featured many groups including the Festival Orchestra led by Calvin Dyck, the Vancouver Chamber Choir, the MEI Chamber Singers and the Pacific Mennonite Children's Chorus. The MEI Chamber Singers performed two numbers alone before being joined by the Vancouver Chamber Choir for two a cappella numbers with Mr. Heppner. He continued with a number of highlight opera arias along with the orchestra and capping off the evening with an arrangement of "How Great Thou Art" including PMCC, Vancouver Chamber Choir, MEI Chamber Singers and the Festival Orchestra. New Addition of Second Chamber Singers group for 2009-2010 - The "Bel Canto Singers"
Congratulations Chamber Singers - "Outstanding A Choir"! 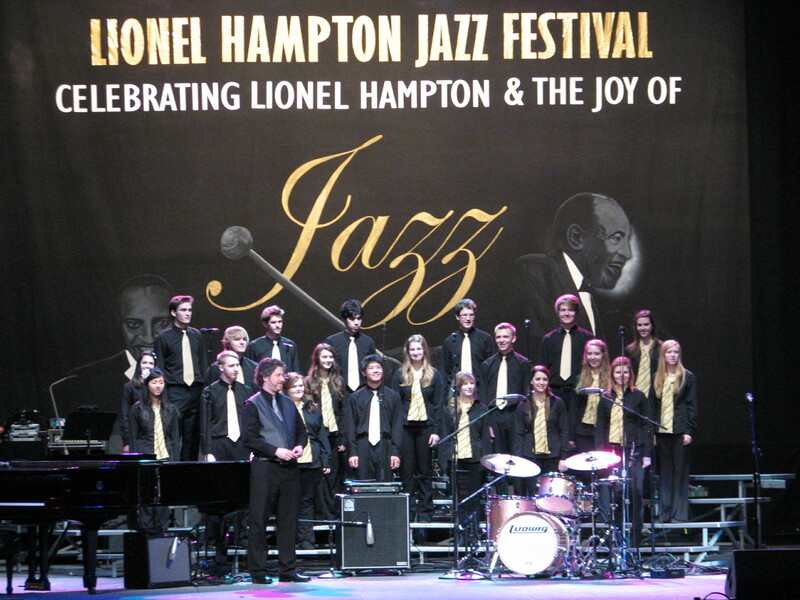 Our MEI Chamber Singers performed in two vocal jazz categories at the Lionel Hampton International Jazz Festival in Idaho on February 27, 2009 and won "Outstanding A Choir", resulting in a fantastic reprise of one of their songs on the Winner's Stage later that night. Congratulations to all the singers on your performance as well as a great trip. The MEI music department is holding a meeting for all parents of Concert Band and Concert Choir members regarding our Spring Tour. It will be held on Monday, September 28 @ 7:00 pm. An email will be sent out and a letter sent home with students this week. This is later than our original date to allow more time for everyone to make arrangements to attend. "The Music Man" - Congratulations on an amazing series of shows! "The Music Man" closed with a fantastic series of final performances at the beginning of May! Congratulations to all the performers and crew who were instrumental in making this a great run. Thanks, as well, to all the parent support and volunteers! Congratulations to the MEI Music Department on an outstanding set of performances at the New York City Heritage Music Festival at the beginning of May. The adjudicators awarded our school with the event's top overall prize called the "Festival Sweepstakes Award", given to the school that gains the highest combined score from a band, a choir and one other performance group (band or choir). In addition to this top award, MEI's students were recognized for numerous other performances. These include three "Adjudicator's Awards" for Vocal Jazz, Concert Choir and Razzberry Jam (gold rating of 95+ for choirs and gold rating of 90+ for bands), an award for "Outstanding Band" for Razzberry Jam, a gold rating for all five categories we performed in - Concert Choir, Concert Band, Jazz Band, Chamber Choir and Vocal Jazz (90+ for choirs and 86+ for bands). Congratulations to all the student performers! Auditons will take place the week of November 17-21 for the cast of this year's musical, "The Music Man". Audition materials will be available from Mrs. Froese on Friday, November 7. Get your materials early and sign up for an audition time slot. On Wednesday, October 29th, 2008 the 44 voice Concert Choir sang "O Canada" to start the WHL game between the hometown Chilliwack Bruins and the Lethbridge Hurricanes. Rehearsals begin on Tuesday, Oct. 7 at 7:00 am, and continue on Tuesdays and Fridays. No rehearsal on Friday, Oct. 10 (Pro-D). Listen for announcements in the daily bulletin and for posters, as auditions for the two MEI chamber groups will be held from September 18 - 26. Friday is the last day for auditions. Materials will be available from Mr. Wedel. Students must be currently enrolled in one of MEI's music classes to be eligible for these two groups. Eligible prerequisite groups are: Music/Drama 9, Band 9, Choir 10, Concert Choir 11 or 12, Concert Band 10, 11 or 12. Watch out for MEI's 2008-2009 version of the MEI Concert Choir at Abbotsford's annual Police Challenge Run on Saturday, September 20th. Join us at the starting line on Trethewey Street to cheer on hundreds of runners, where you can join in with the choir in a rousing rendition of "O Canada" at 8:55 am. Stick around to watch the runners cross the finish line and participate in the program following the run at 9:45 am, where the MEI Concert Choir will be featured with a package of songs, as well as dance groups, local radio celebrities and other entertainment. You'll find us singing on the Main Stage in Thunderbird Plaza, outside the Matsqui Centennial Auditorium off Trethewey Street. Singers were a part of on City TV's Breakfast Television on Thursday, December 2.
were on site with the Chamber Singers to promote the parade in a number of segments on Wednesday, December 1.